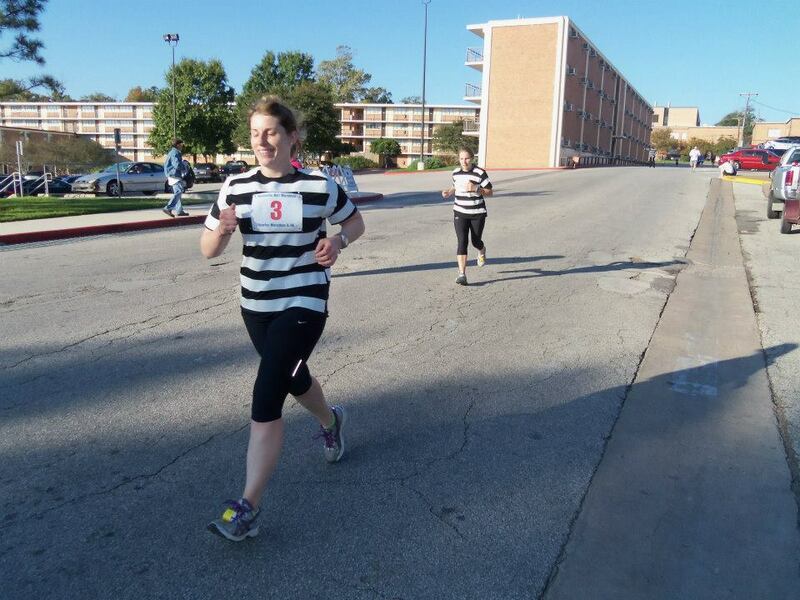 This entry was posted in aberdeen, feet, Friends, half marathon, Running, Texas, Travel and tagged decision making, huntsville half marathon, losing a toenail, not a terrible race photo, running, Texas by MedalSlut. Bookmark the permalink. I think most of your running pics are awesome! Love the head torch! 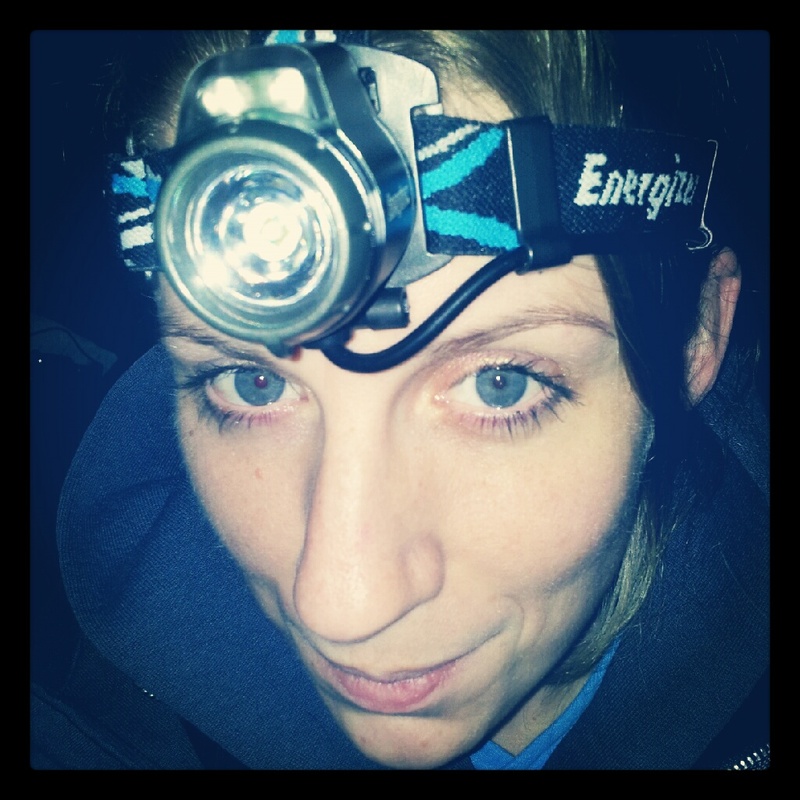 Nice head torch! Pat has one that I’ve used for running at dusk on roads, but it didn’t help that much. You’re brave for doing a trail run; I’ve had the bad luck of landing on rocks in the dark and rolling my ankle (on a road) so I avoid trails in the dark. Instead, boring repetitive towns runs. Yeah, they kind of create tunnel vision and your eyes go a bit strange, but easier than no light. Also, after the several near-misses, I’m amazed I didn’t end up on my face next to a weird dip in the path. I have since stuck to boring town runs. I have yet to get a totally awesome racing photo of me. Wait – one was good because it was taken from behind and no one could see what I’m sure what a look of pain and imminent death on my face as I neared the finish. Sorry about the toenail…and yes miles are inversely correlated with number of non-black nails. LOL – I love how awful my race photos are too! Good luck with the quest. Running champ. I feel like I started picking up running the same time as you then fell off and now watching you I feel like a TOTAL slacker. Bravo. 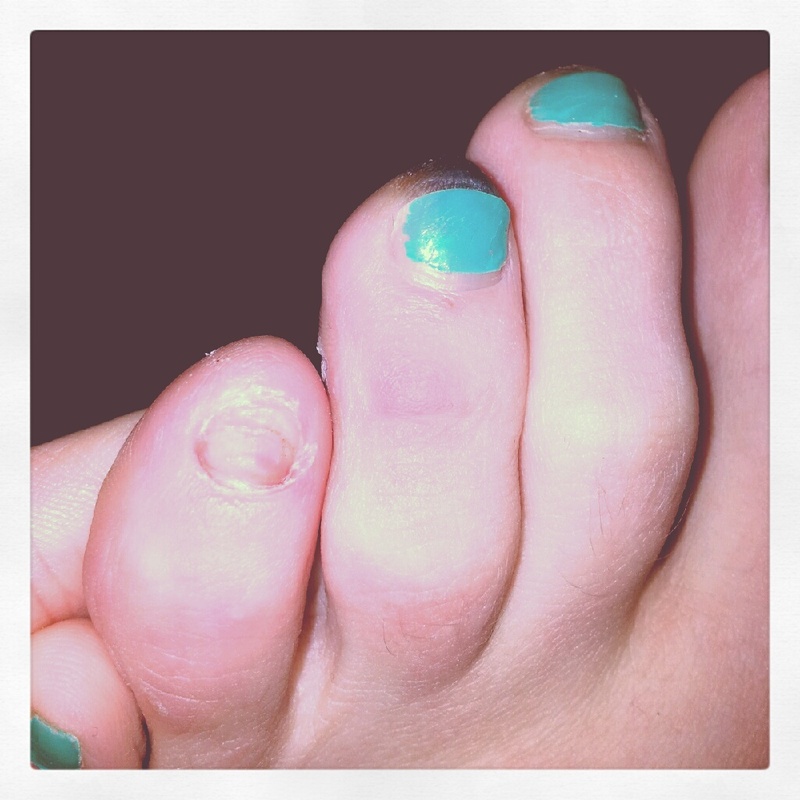 And of course welcome to the toe nailess club. Whilst I miss my toenail, I feel a sense of freedom thanks to not having to worry about taking it off when I remove a sock. As for slacking? You had crazy heat to deal with. I had highs of, like, 70.